Let’s face it – there’s a lot of competition out there when it comes to content creation. The good news, however, is that you can always find ways to stand out in the crowd-based on your market competition. One of these ways is to simply create quality content. Say what? Okay, this sounds like a no-brainer – but it’s the truth. Creating a digital presence is essential to the success of any business in 2018, and many companies are doing this by creating boatloads of content consistently in order to get indexed as quickly as possible. Now, we’re not going to say that this isn’t a great approach – it is. But the truth of the matter is that while many businesses have based their marketing strategy around this fundamental idea, far fewer are implementing it as effectively as they should. Think about it for a second – if your company is looking to stay competitive by pushing out content frequently and consistently, the most sure-fire way to get results, then you’re going to have to implement content anywhere from 3-5+ times a week based on your distribution platform. Keep in mind these are conservative numbers – we’re talking bare minimum. Now, if you don’t have a five-figure content budget, then this is going to get tricky – especially if you’re implementing more than written blog content for your website (i.e., video content, social media content). This leaves you with two options – skimping significantly on quality or lowering your posting rate of frequency. If you’re looking to step up your marketing game, generate leads, spread brand awareness, and work to establish yourself as an industry authority presence, then skimping on quality simply just isn’t an option. But what exactly entails a good, quality blog post? Well, lucky for you, that’s exactly why we’re here. This article will go over the essential components to a well-written blog post. We’ll detail fundamentals such as structure as well as discuss important and indispensable minutiae necessary for effective blogging. So if you’re looking to boost business, then look no further than quality content creation – and we’re going to show you exactly how to do it. When it comes to creating a killer blog post, there are 12 fundamental building blocks that every piece of written content should be founded upon. Four of those are the same ones that we all learned back in our wee years in primary school. It’s no surprise that to this very day, content creation building blocks are just as vital to creating awesome content as they were back when all you were writing about was dinosaurs and Power Rangers. Let’s jump right into the details of each section, why they’re important, and best practices to make sure your content is on point and doing its job. Outlining content is probably one of the single most important things that can be done to ensure the content creation process moves smoothly, efficiently, and successfully. This is because an outline guides the content creation process and helps you stay focused and organized so you can deliver concise, coherent information. An outline keeps things moving forward, preventing rambling and redundancy, and as a result, helps to significantly increase the quality and thus optimization of your content. A good outline should be comprised of headlines which include everything from an Introduction to Main talking points, as well as various sub points. So how do you know you’re doing it right? If your outline takes the same amount of time or longer to generate as the content you’re filling it in with – you’re doing it right. Your headline is scientifically proven to be able to boost conversions at an astounding rate. It can literally make or break the success of your post. When it comes to crafting excellent headlines, there are a few industry tips to getting it right. When it comes down to it, a killer headline is nothing short of a little bit of research and some creativity away. 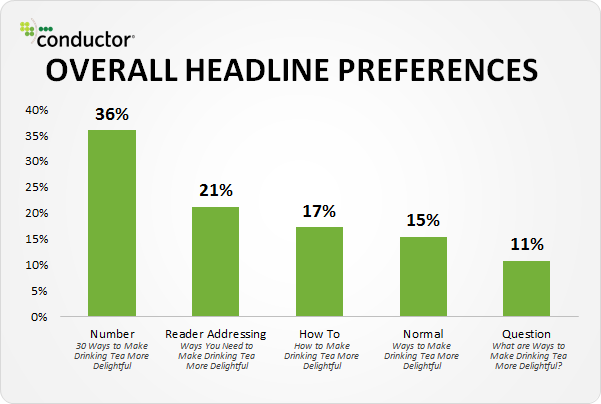 According to such research, personalized headlines (those addressing the reader), “How To” articles, headlines beginning with numbers (ideally odd ones), and headlines formatted as questions outperform others significantly. A good introduction should take the form of a purpose statement in the sense that it is meant to inform the reader on what your plans are with their time. A good outline is detailed, thorough, and accurately summarizes the information in your content so that the audience is well-aware of what they’re getting themselves into. If at all possible, try to craft the first sentence of your introduction in a manner that draws the audience in and engages them in some way, shape, or form. Think of your introduction as a pitch of sorts that is meant to sell the audience on why they should spend their valuable time reading your content. Essential components of a well-written piece of content include main talking points, which are to be expanded upon within the body of the article. Your introduction should briefly summarize what the main talking points will be mentioning, and the body of the content should go into much further detail on these talking points. Breaking up talking points into sections with both headers and subheaders is highly recommended; they create a better sense of organization and help enhance the user experience, increasing the optimization of your article. When you were in primary school, the final portion of any finely tuned piece of content entailed a conclusion that concisely summarized the main talking points and wrapped everything up neatly. In essence, your conclusion is just a restatement of your introductory paragraph and serves the same purpose. What we are saying is that it’s absolutely acceptable to rephrase your introductory paragraph in your conclusion. While it isn’t necessary to restate every single main talking point, many content creators find it convenient to do so for browsing purposes. We find it important to mention this because when crafting your content, it’s essential that you take into consideration that a good portion of your readers aren’t going to read your article word by word. Many of them will simply scan it for the information they desire. Content creators that take this into consideration and create user-friendly content which makes scanning easy and simple are going to be the ones that stand out in the crowd. Finally, the beloved call-to-action, or as Unbounce’s Michael Aagaard so perfectly summarized it, “the tipping point between bounce and conversion.” There are countless statistics on the effectiveness of calls-to-action (CTAs) when it comes to increasing conversions in content marketing. CTAs work for a number of reasons, one of which is that they help to personalize your content by addressing the reader directly. This helps immensely with regards to engagement. And when it comes to business and your bottom line, you bet every inch counts. When it comes to creating effective CTAs, everything from copy to color and placement can make a significant difference in your conversion rates. There are numerous psychological underpinnings to the effectiveness of certain types of CTAs and language used in them. It’s a whole blog post’s worth of information. When crafting a CTA, it’s important to ask yourself what would make you want to click on your CTA button or engage based on a call-to-action. Your best bet is to create something that you can imagine yourself being influenced to engage with. Ensuring that content is proofread, free of errors, and grammatically correct is absolutely essential to creating well-written and high-quality content. Having an editor is indispensable if you’re looking to ensure quality content on a consistent basis. Making sure you’ve properly vetted this editor is also of paramount importance. This is because there’s nothing worse than wasting your own valuable time and money to have a service completed poorly, leaving you feeling like you’re back at square one. Ensuring that you have a quality editor on hand will help prevent you from driving yourself crazy over the content creation process; or on the flip-side, driving your writers crazy by overloading them with tasks other than pure content creation. Let’s face it – all writers aren’t editors, and all editors aren’t writers. There are two very different sets of combined skills at play when it comes to these two separate titles, which should be taken into consideration. Quality articles have a great deal of visual appeal that helps draw the reader in, engage them, and break up the content to keep things interesting. Visual appeal can be achieved via a variety of methods. The possibilities are endless and completely up to your creativity. For example, now that video content is officially taking off, more and more businesses are including video content in their content strategy. Bright, vivid infographics, images, illustrations, graphs, and charts also work wonders to help break up content and keep things visually pleasing. However, it’s important to note that visual appeal does not begin and end with graphics and images alone. Visual appeal can also be achieved through various formatting styles that can keep content visually organized, clean, and easy to peruse. Ensuring that you’re using the proper voice in your article is another key aspect of making sure it’s of the highest quality and effectively tearing out the purpose for which was implemented. A voice is unique, it’s distinct to your brand, and it has personality. Is your businesses voice playful, fun, perhaps a bit sassy, inspiring, or more straightforward and to the point, such as Gary Vaynerchuk’s? The voice of your content also encompases the rhythm you’re trying to create. Would you prefer your content to be sharp and concise, or do you have a preference for rich, thorough, in-depth content? What about the vocabulary that is being used? Are you taking this into consideration as well? Does your audience show a preference for informal styles of writing? Perhaps they’re professionals within a specific niche and prefer content that is rich with industry keywords and buzz phrases. When it comes to structuring your voice, the best way to go about doing so is to document certain things about your brand, such as memorable statements that you feel would accurately encompassed your voice, words that you would use to describe your voice, your voice is rhythm, or perhaps a list of things what you don’t feel are in line with your brand’s voice. It’s always helpful to create paragraphs, a mood board, or some sort of visual or text representation in order to get the most out of this process. When it comes to differentiating between tone and voice, it’s important to think of them in the context of how one can change their tone and voice in everyday life. For example, your brand’s voice can be playful and fun, but depending on the distribution platform or situation that your content is being implemented in, you may prefer an authoritative tone. In fact, your tone could differ from platform to platform based on your preferences. For example, you may keep your tone light-hearted and informal on social media platforms such as Facebook or Instagram, but when it comes to platform such as LinkedIn or Cora, you may prefer your tone to be more professional. Keeping your tone in mind when it comes to creating killer content is absolutely essential, especially if you’re looking to appeal to multiple demographics with a wide variety of interests, beliefs, and demographics. Much like the tone of your content, the style too can change based on where and when the content is being implemented. For example, you definitely shouldn’t be making use of the same style of writing on your website’s blog posts as you do on Facebook. Likewise, LinkedIn has its own style preferences, as do other social media platforms that are highly visual in nature, e.g., Instagram. If you haven’t previously given this much thought, it may be a good idea to document your style as well as your tone and overall voice for various platforms. When it comes to length, if you’re looking to make an impact, gain traction in the digital landscape, increase search engine ranking, and compete with other businesses and brands; the “Go big or go home” attitude is going to be the key to your success. This is because there are several aspects of the content creation process in which you will most likely not be able to compete with the big dogs. Keeping your outlook realistic is key to success. Content kings such as Huffington Post and TechCrunch, among others, are creating literally thousands of articles per month in order to maintain those top spots in the search engines. Content creation is expensive, and these businesses use what they have to their advantage – capital. So where do you come in? Well, length is one area. Generally speaking, Google’s algorithms show a strong preference towards long-form content. Now, what is long-form content? Technically, it’s any content that is 700 words or longer. However, as with anything, it’s essential to keep up with your competition when it comes to setting standards for the content creation process. Businesses simply aren’t writing 700-word articles when they’re looking to implement long-form content. Let us rephrase that – there are indeed businesses who are implementing content as such; however, these are not the businesses that are showing up first in search engine results based on Google the algorithm preferences. That’s bananas. Just remember that any way you can differentiate yourself from your competitors is good – especially if that differentiation entails going the extra mile. Google loves it. Keep in mind that keeping your traffic on your pages longer is also great for search engine optimization purposes. Which brings us to search engine optimization. Search engine optimization is another crucial element to any quality piece of content. When it comes to ensuring that your blogging content is well-written, employing SEO best practices is essential. Formatting choices such as including headings, subheadings, bullet points, and reading time approximation are beneficial to SEO due to the fact that they help generate a richer user experience. Additionally, you’ll need to ensure that your content is keyword-rich, meaning your keywords make up between 1% and 2% of your text. You’ll see a lot of website emphasize heavily on the 2% mark, but to be quite honest, anything greater than the 1.5% mark simply begins to sound sales-y and formularic, negatively impacting the user experience and in return, negatively impacting your search engine optimization efforts. When it comes to keywords, well-written articles should ideally be centered around a handful or two (as low as one, as many as three) keywords for best results. However, when it comes down to it, use as many keywords as would make sense to a potential client. Don’t go buckwild, but staying conservative could harm you depending on the specifics of the situation. Another Surefire way to help boost search engine optimization of a post is to link to other posts and content within your platform. This boosts the link-juice going to these posts and results in a nice little benefit when it comes time for the search engines to crawl around. Promoting easy social sharing is absolutely essential. There’s no reason why every single one of your articles shouldn’t include social sharing buttons to help facilitate the spreading of your brand and awareness. You don’t have to be a digital marketing Guru in order to get these; there are plenty of apps and websites that offer convenient codes to copy and paste for the purpose of embedding within your website. Sharethis.com is insanely popular (you’ve probably seen their share buttons all over the place), and for those of you who use WordPress, they have a plug-in specifically for that. If you’re looking to jumpstart your digital presence, then creating quality content is the first essential step in reaching your goal. Quality content is indispensable to a brand looking to establish authority presence, generate leads, or spread awareness. These 12 components comprise the anatomy of a well-written blog post. So if you’re looking to bump up your content marketing game, then make sure that your team is on the same page as you in terms of how to create proper content. Start implementing this 12-Step Guide and tracking the results of your new and improved approach with your team today! We’re certain you’ll see some killer results as soon as the next quarter!